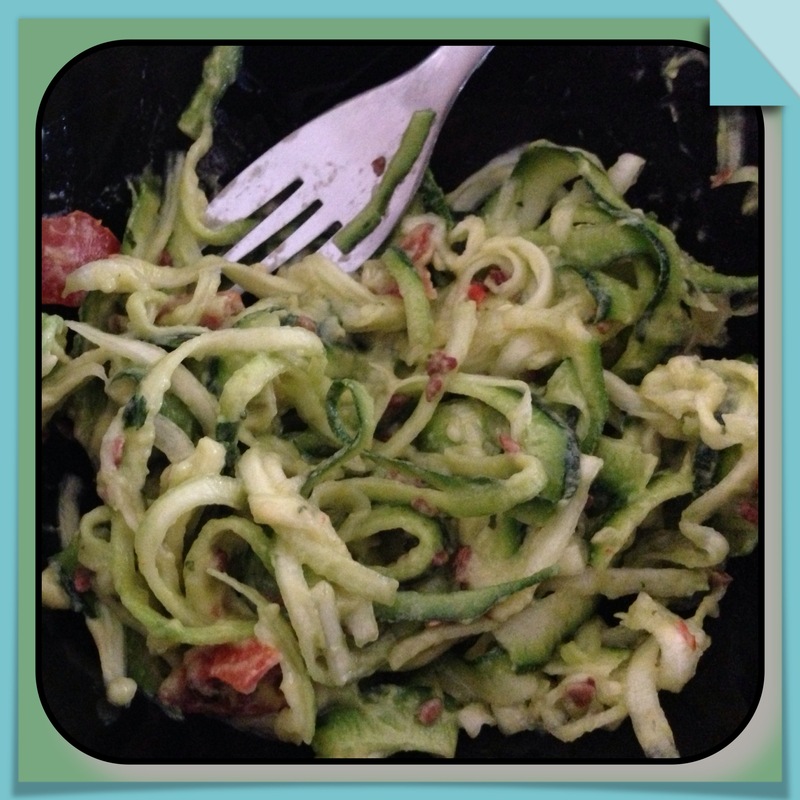 Our favorite & quick Lunch Idea Zucchini Pasta. Zucchini is considered a vegetable by most people, but it is technically a fruit. It is often served as a side dish, or as an ingredient in soups, stews, salads or grilled vegetable sandwiches. One application most people aren’t likely to think of is to make pasta out of zucchini. It is common to add zucchini to pasta sauces, but using the zucchini itself as the pasta gives the dish a whole new dimension. 2. Start food processor running. Drop cloves of garlic in, one at a time. 3. Add avocado, olive oil, pine nuts and lemon juice. Pulse until blended. 4. Season to taste with salt and pepper, then toss with the zucchini noodles and tomatoes.